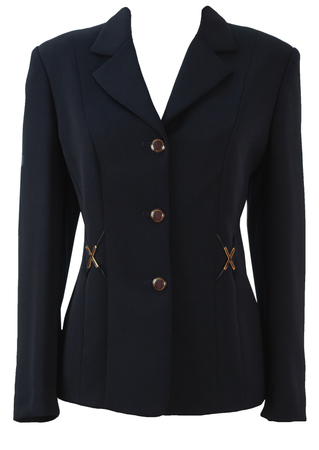 Luisa Spagnoli navy jacket featuring metallic gold cross shapes at the waistline and decorative gold edged buttons. 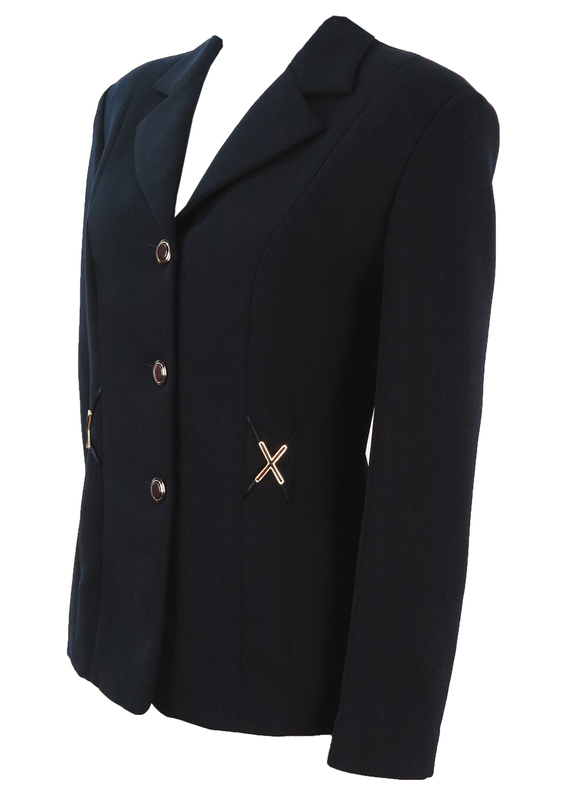 The jacket has a gentle fitted shape to it, cinching in slightly at the waistline. 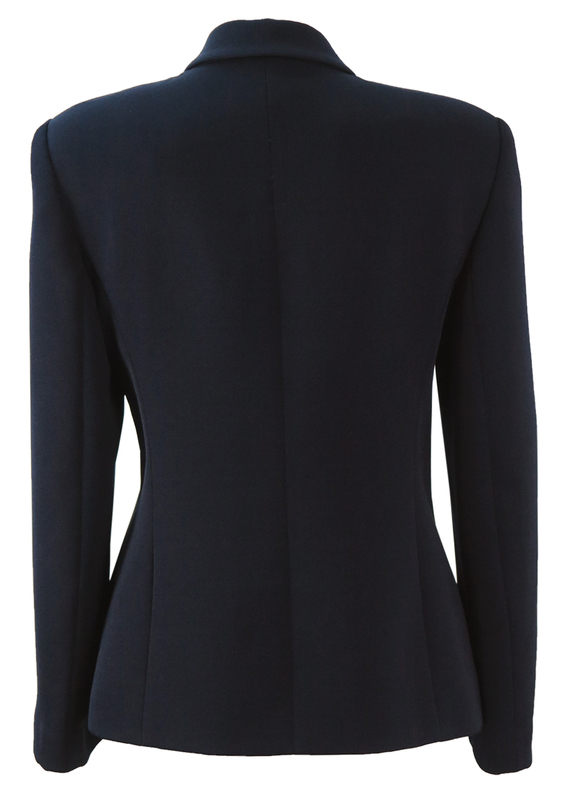 It is also fully lined in a navy blue satin-like fabric and is in excellent condition. 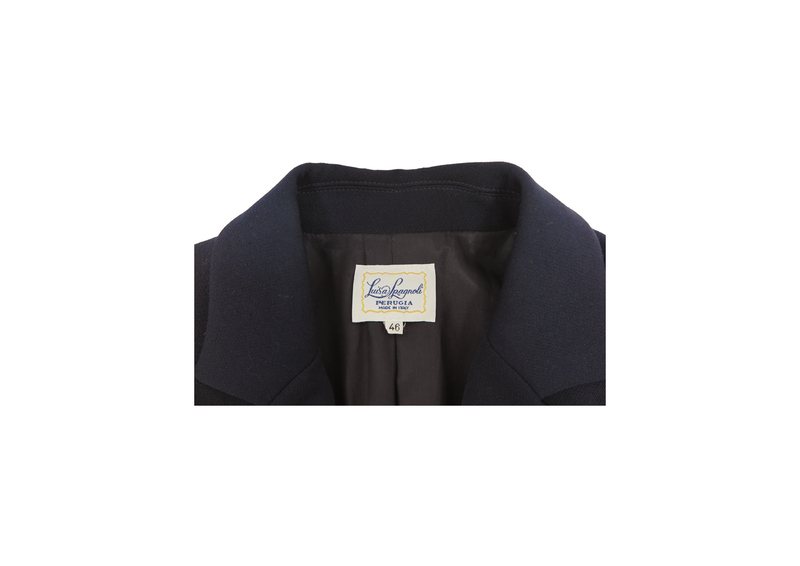 The sizing label states an Italian 46, which we have equated to a size M. Please refer to our measurements for further sizing guidance.